I just wanted to let you know I was at Ocean View cemetery this weekend and the grave inscription for my mom looks great. 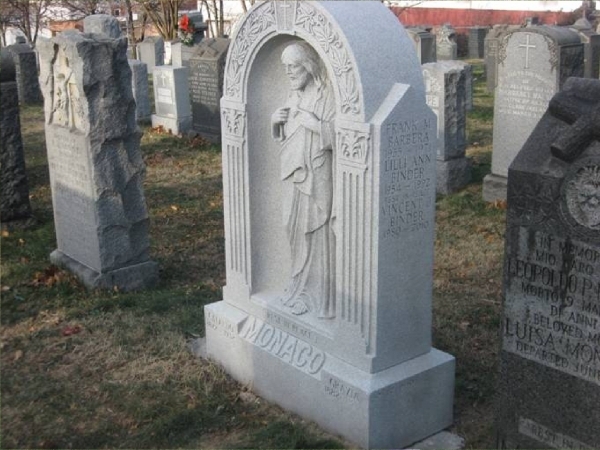 Searching For The Best Headstone Engraving Services Near Brooklyn? Rosario Cassara and Carmine Cassara founded Supreme Memorials in 1951. Both Italian Immigrants Rosario and his son Carmine would split the long 15 hour days. Rosario opened the shop at 7:00am and Carmine would close at 10:00pm. At the time the only products we were offering were Gray Granite and White Marble. All work was hand carved. Carmine took pride with every memorial he designed after putting a lot of time and craftsmanship into each one. He also wanted the customer to know that they indeed were buying a product second to none. Carmine wanted his customers to have the best value so he started importing the marble from Italy and the granite from Vermont with no middlemen. "Buy Direct and Save" It was a revolution. Craftsmanship alone is not the only reasons generations of customers come back to Supreme Memorials, it is our reliability and consistency. 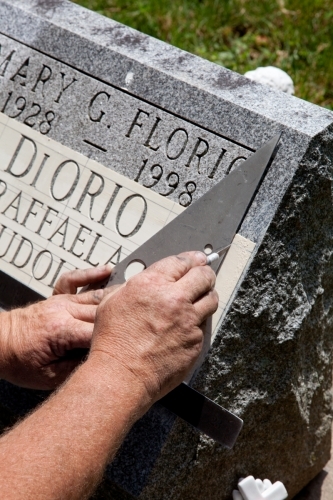 With our team of drafts men, graphical artists, carvers, etchers and setters Supreme Memorials can match any custom or standard lettering font in any cemetery we service. 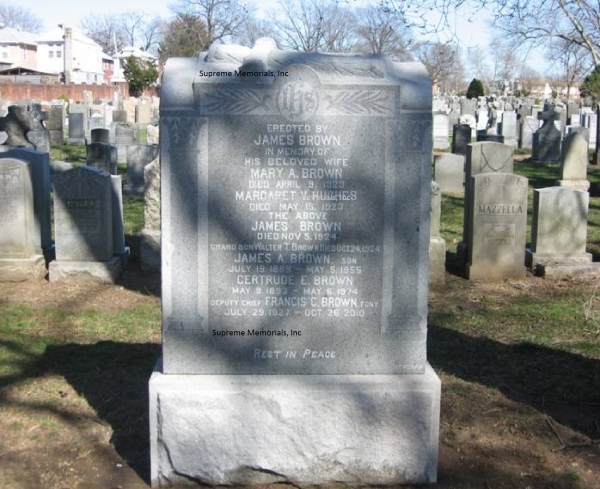 Monumentlettering.com is the on site cemetery engraving division of Supreme Memorials, Inc. Since 1951 we have always performed on site grave lettering in all cemeteries. This website was created to service the current needs of our clients. Our clients have demanded an easier, more efficient way to order this type of work at their convenience. To provide an accurate quote, it's necessary to first complete and submit a formal Request for Estimate so that we can send one of our experienced craftsmen to your memorial to examine the type, style, and amount of lettering involved. Because every monument is unique, we carefully measure the dimensions of your monument, measurement the existing lettering, and take several photos to ensure precision and accuracy for your project. From there, we create a tracing of your monument (called a rub) to further document the style, size, and proper layout of the lettering. It's important to note that our team won't begin working on your monument until you have formally verified that all the information provided is accurate and correct. Once we receive your confirmation, we will proceed with acquiring the necessary work permits from the cemetery to begin your project. Our master craftsmen will begin the engraving process on your monument. We employ the area's finest engraving experts to perform the superior service that you and your loved ones deserve. Whether the letters are knife-cut, frosted outline, hand-tooled or hand-drawn, our skilled engravers can match any style. This is what distinguishes monumentlettering.com from other monument shops. While most cemetery engraving work is done using a sandblast technique, we are one of the few firms left on the east coast that has the capability to match classic hand-carved letters on site using the same painstaking craftsmanship that was used thousands of years ago. If you're in need of headstone engraving services in the Brooklyn area, we'd love to help you and your family in this time of need. We have over 60 years of experience, and from our family to yours - we look forward to honoring your loved ones in a way that will showcase their legacy for years to come. We appreciate the opportunity to serve you and take extreme pride in creating a memorial that will last forever. We often fulfill customer requests to add a name, date, or both to an existing memorial, by performing on-site work at the cemetery. Additionally, we are able to add a verse or simple design, if you wish, without removing your monument or marker from the cemetery. Carmine wanted his customers to have the best value so he started importing the marble from Italy and the granite from Vermont with no middlemen. "Buy Direct and Save" It was a revolution. At 60+ years old our company is very young in this industry. 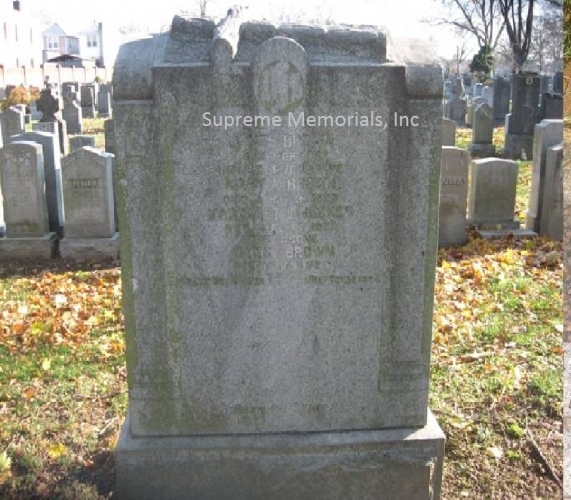 Make no mistake as Supreme Memorials enters its fourth generation you will see that we still concentrate to the attention to detail that Rosario and Carmine first demanded. We keep this in mind as we are loyal in this practice in every monument we create today. 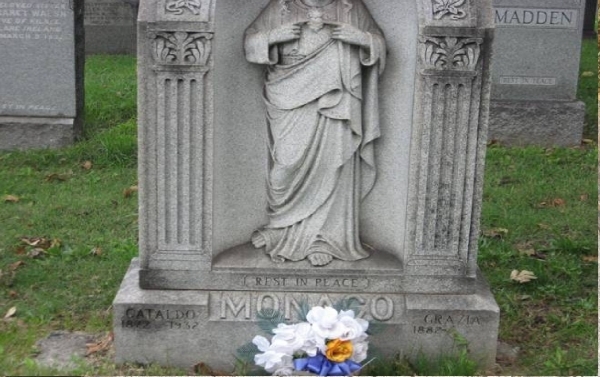 Monumentlettering.com is the on site cemetery engraving division of Supreme Memorials, Inc. 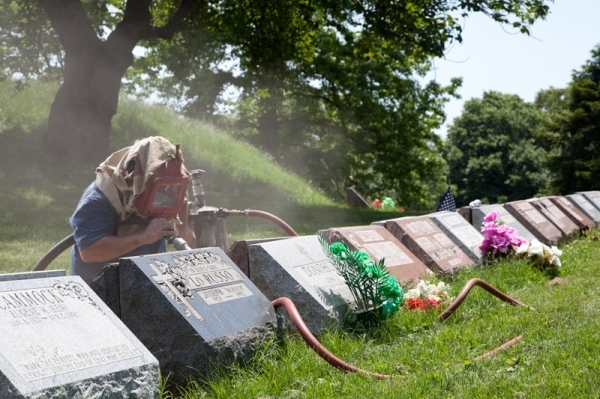 Since 1951 we have always performed on site grave lettering in all cemeteries. This website was created to service the current needs of our clients. Our clients have demanded an easier, more efficient way to order this type of work at their convenience. Most of our clients have a busy schedule and wanted a forum to order this type of work when they wanted to, from the comfort of their own home or place of business. Our Answer is this website www.monumentlettering.com . This website is open 24 hours a day 7 days a week for your convenience. Even though this website is in its beta form we want all of our clients new and existing to know we will be updating it frequently and we appreciate any and all feed back. The contents of this webpage are Copyright © 2019 Monument Lettering. All Rights Reserved.